A spectacular idyll with five-star service. A beautifully designed village under a forest canopy… Brizenica Bay is where nature meets luxury. 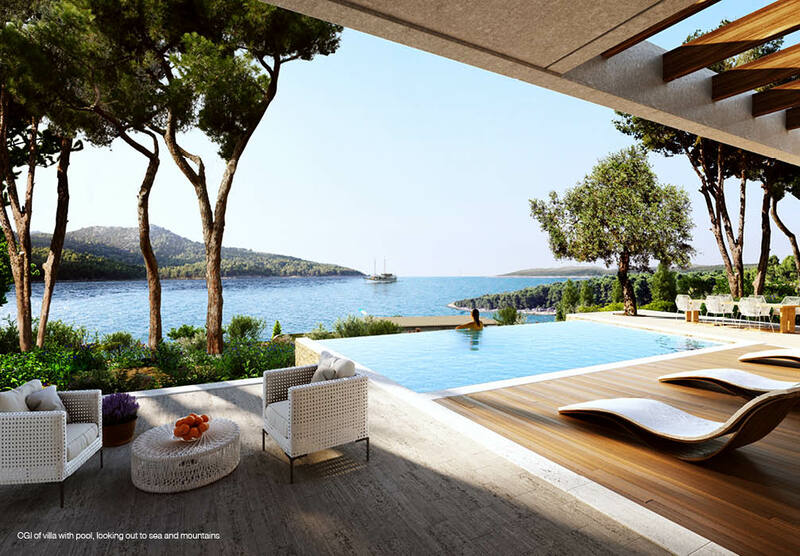 Located in a secluded cove on Hvar island, the resort will proudly feature a Four Seasons Resort and Private Residences and enjoy the globally renowned brand’s reputation for legendary service and quality, all set in the most tranquil of locations with breathtaking sea views. Relax on sun-drenched terraces, swim in brilliant blue waters from the private beach, or explore the natural wonders of the island. Situated along the prestigious Dalmatian Coast, Hvar is a place where time slows down and simple everyday pleasures heighten the senses. 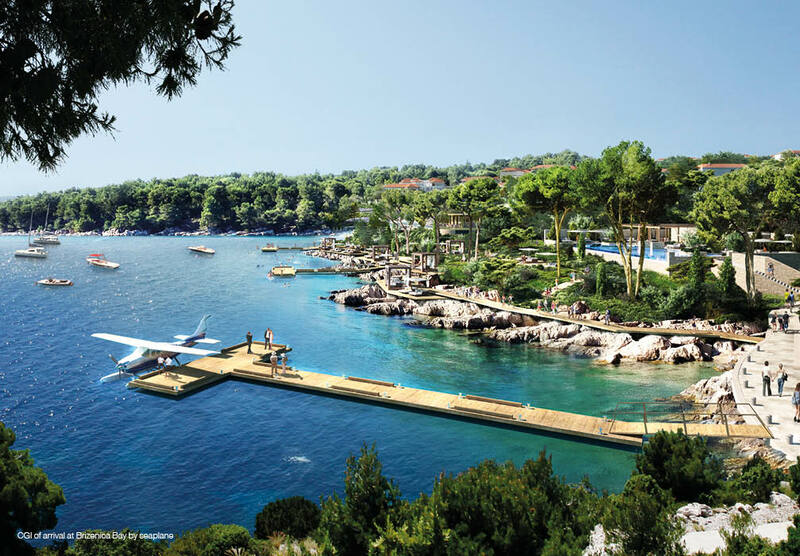 With a mild, year-round Mediterranean climate, Croatia’s wealth of international flight connections makes it a natural destination for the luxury traveller. Thanks to international airports in Split and Zagreb, Croatia offers strong travel links to most major European cities. With Hamburg, London, Paris and Vienna all within a few hours’ reach, the island of Hvar is an easy retreat located in the very heart of Europe. Featuring a wealth of cultural treasures across the island including an UNESCO World Heritage Site, here is a place steeped deep in history and legend, which in 2016 is celebrating 2,400 years. The international airport in Split (SPU) is within a few hours’ reach of most major European cities including Hamburg, London, Paris and Vienna. The international airport in Split (SPU) is within two to three hours’ reach of most major European cities including London, Paris, Munich and Barcelona. Multiple daily flights from Split to Jelsa take less than 15 mins. Chartered trips departing from Split to Hvar Town or Stari Grad take approximately 1 hr. With easy access by boat, private docking is available at Brizenica Bay and at many moorings and anchor drops around the Hvar peninsula. 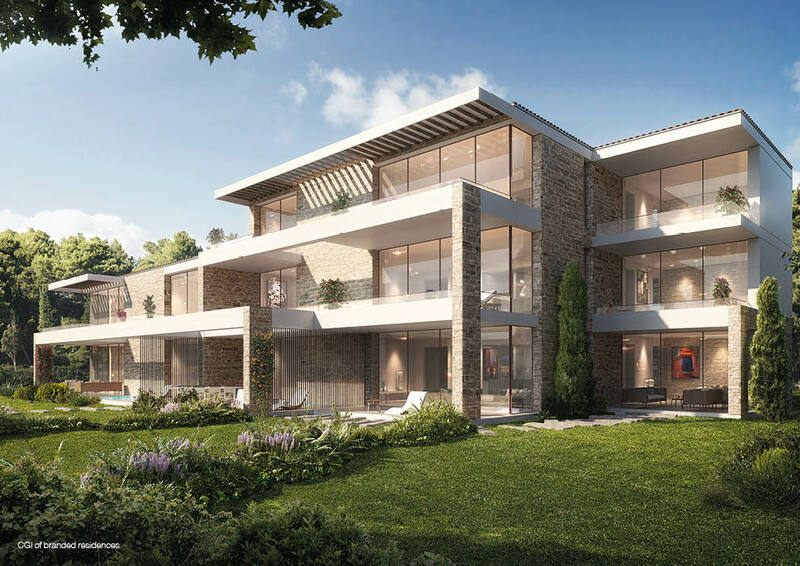 Nestling in the peaceful surroundings of the bay will be a bespoke collection of luxuriously appointed three to five bedroom Villas and one to two bedroom Private Residences. Bringing together timelessly elegant design and the finest materials, Brizenica Bay blends island living with exceptional service. “It’s about an authentic Croatian experience,” says architect Lukasz Platkowski. “From the size of the rooms to the quality of the finishes, everything will create a feel of luxury.” Arqaam Capital has come together with some of the world’s most respected specialists in hospitality and design to develop Brizenica Bay as the leading luxury resort and exclusive residential community in the Adriatic region. With many years of experience working across hotel and residential projects at the highest level, the selected project partners bring an unparalleled degree of knowledge and expertise to this truly unique offering. 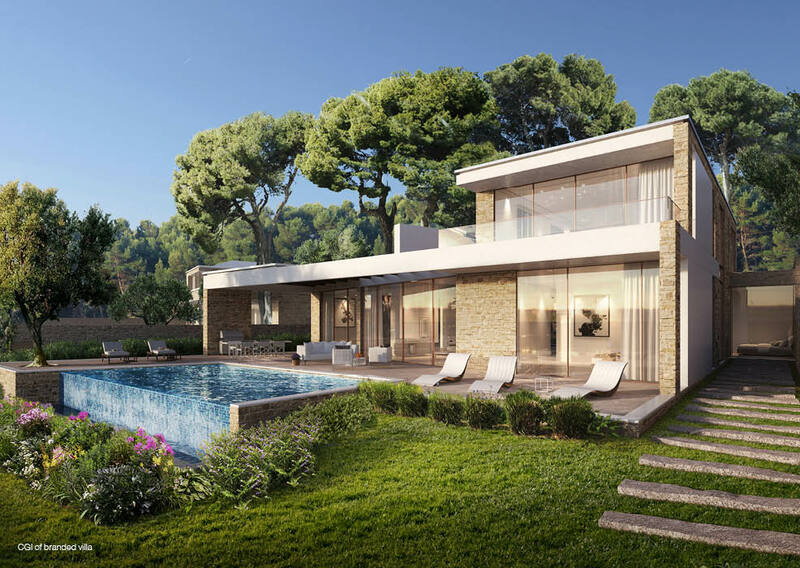 Discover your new home on the breathtaking island of Hvar. To schedule an appointment, please contact our team at info@brizenicabay.com or complete the registration form below and we will be in touch shortly. 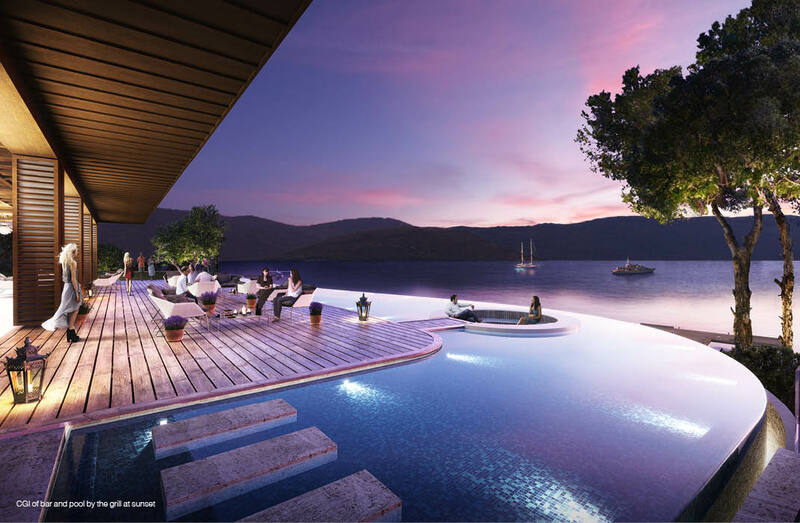 Four Seasons Resort and Private Residences Hvar, Croatia are not owned, developed or sold by Four Seasons Hotels Limited or its affiliates (Four Seasons). The developer, BRIZENICA D.O.O., uses the Four Seasons trademarks and trade names under a license from Four Seasons Hotels Limited. The marks “FOUR SEASONS,” “FOUR SEASONS HOTELS AND RESORTS,” any combination thereof and the Tree Design are registered trademarks of Four Seasons Hotels Limited in Canada and U.S.A. and of Four Seasons Hotels (Barbados) Ltd. elsewhere. Personally identifiable information: You might disclose this kind of information to us – e.g. your name, physical address, and email address – by registering through this Site for our newsletters and other services. We use such personally identifiable information to respond to your inquiries. Generally, we will not disclose personally identifiable information that we collect through your use of the Site to unaffiliated third parties. We reserve the right, however, to provide such information to our employees, contractors, agents, and designees to the extent necessary to enable them to perform certain Site-related services. We also reserve the right to disclose such information to any third party if we believe that we are required to do so for any or all of the following reasons: (i) by law; (ii) to comply with legal processes or governmental requests; (iii) to prevent, investigate, detect, or prosecute criminal offences or attacks on the technical integrity of the Site or our network; and/or (iv) to protect the rights, property, or safety of Brizenica D.O.O. and its affiliates, their partners, and employees, the users of the Site, or the public. If you would like to change your personal information, or if you no longer wish to receive materials from us or want your personal information removed from Brizenica D.O.O.’s database, please contact us at info@arqaamcapital.com. Brizenica D.O.O. seeks to adopt commercially reasonable security measures to assist in protecting against the loss, misuse, and alteration of personally identifiable information which is under our control. Unfortunately, no security system, or system of transmitting data over the Internet, can be guaranteed to be 100% secure. As a result of the foregoing, while we undertake commercially reasonable efforts to protect your personally identifiable information, we cannot guarantee the security of our servers, the means by which information is transmitted between your computer and Brizenica D.O.O.’s servers, or any information provided to us or to any third party through or in connection with the Site. You provide all such information entirely at your own risk.